With over 20 million people, India has the largest number of its people or migrants living outside India. 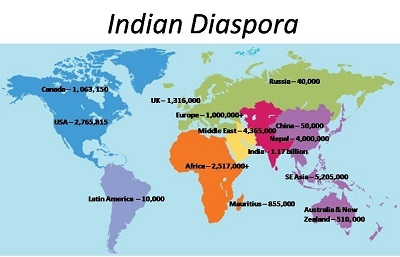 India has the largest diaspora in the world, followed by Mexico and Russia. India is well ahead of Mexico. Other countries with large Diasporas included Russia, China, Bangladesh, Pakistan and Ukraine. This diaspora excludes offspring of these migrants who would then be people of Indian origin.